Take a trip with this psychedelic tapestry! 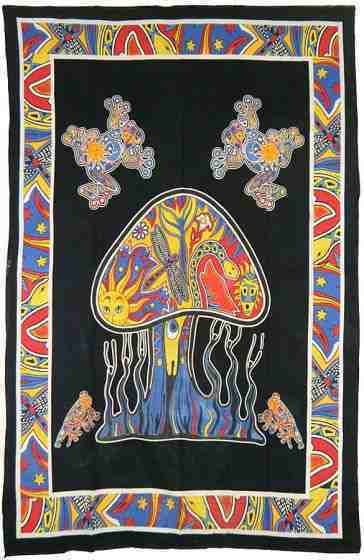 This intricately designed tapestry features frogs and a mushroom with unique details. This tapestry measures approximate 54" x 86" and is perfect for hanging on your wall or throwing over your bed or couch as an accent piece.